This dish takes crispy chicken to the next level. After you cook it up, you make a quick glaze and run the chicken through it before serving. 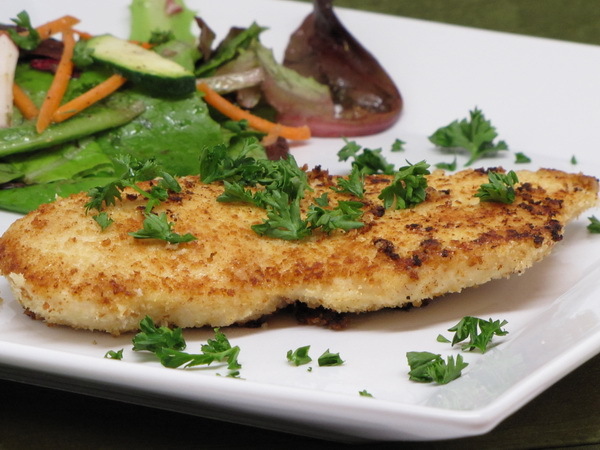 This makes is sooooo very flavorful, very moist, and something just a little different from your regular breaded chicken. Season chicken with salt and pepper. 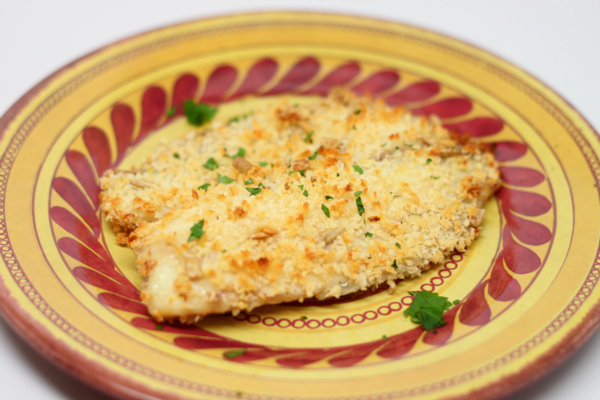 Mix breadcrumbs, garlic and oregano and dredge chicken in the breadcrumb mix. Mix lemon juice, honey, Tabasco and zest to make a glaze. Heat oil in a skillet and add chicken and brown both sides, cooking about 6 minutes per side or until done through. 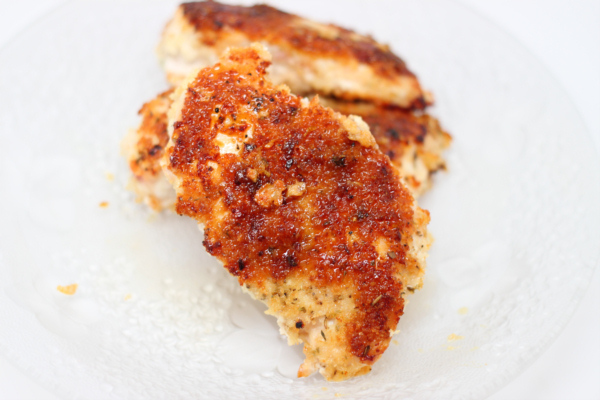 Remove chicken from skillet and add glaze and reduce until thickened, about 1 minute, Return chicken and flip to coat both sides with the glaze.